Eating dried fruits such as dates, apricots, raisins and sultanas may not spike blood sugar compared to starchy foods such as white bread, suggests a study. "People often worry about sources of sugar, and fruits are one of them. But most fruits, in particular tender fruit, have a low glycemic index and what we're showing here is dried fruits also have a lower glycemic index, so they don't raise your blood sugar very much," said John Sievenpiper from Toronto's St. Michael's Hospital. Include These 5 Foods That Lower Blood Sugar In Your Diet. "This study finds that people can use dried fruits as a low glycemic index food source to replace higher glycemic index foods. So, as a snack food, dried fruit is going to be preferred to a grain-based cracker or snack," he added. The study, published in the journal Nutrition and Diabetes, compared the glycemic response of four dried fruits - dates, apricots, raisins and sultanas - to white bread in a small group of healthy participants. How to Manage Diabetes: Expert Tips To Lower Your Blood Sugar and Improve Your Lifestyle. They found that the fruit had a lower glycemic index and could lower the glycemic response of white bread through displacement of half of the available carbohydrate. The glycemic index is a way of explaining how different carbohydrates affect blood glucose and can help find out which foods are best for people with diabetes. Foods high on the glycemic index such as white bread, most breakfast cereals, potatoes and rice produce a spike in blood glucose and insulin. On the other hand, the carbohydrates in low glycemic index foods including pasta, beans, lentils and certain whole grains such as barley and oats are broken down more slowly, and cause more moderate increases in blood glucose and insulin. 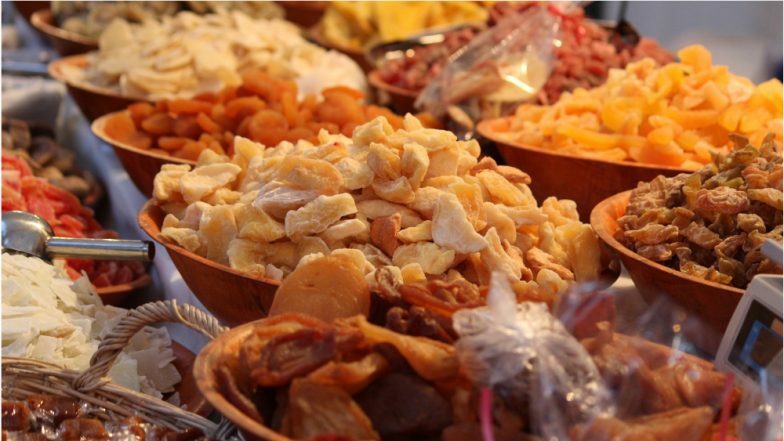 The study also suggested that there's potential for food manufacturers to develop low glycemic index foods with reformulations that include dried fruits. However, longer and larger randomised trials will be needed to confirm whether dried fruits can contribute to sustainable improvements in glycemic control, and whether other dried fruits have a similar glycemic index, Sievenpiper stated.